You may have heard the term “Trust fund” before. It’s likely that if you’re not certain what it means, you probably associate the term with ultra-wealthy Singaporeans. Stories tend to propagate about “trust fund babies”, and how these young people are very well taken care of financially for the rest of their lives. However, if you only have a rough idea what a trust fund is all about but not absolutely certain what they really are or how they operate within the realm of estate planning, you’re not alone. There are many misconceptions over what a trust fund actually is and one of the biggest misconceptions is that you need to be extraordinarily wealthy in order to set up one for your children in Singapore. So what exactly is a Trust Fund? A trust fund is basically a legal creation that holds assets for the benefit of a person or group of persons. There are many different variations of trust funds but the one that concerns most Singaporeans for estate planning is a trust for children. Other popular trust funds include trusts for other dependents, such as your parents or siblings. 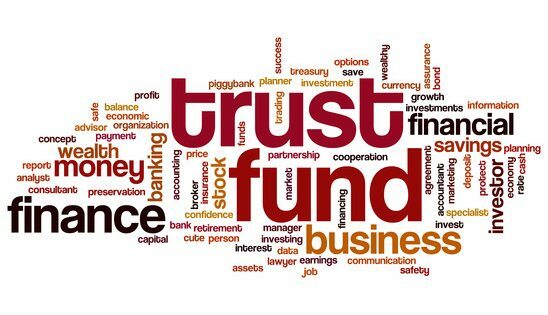 Generally, the person who creates the trust fund (the “Grantor”) funds the trust with assets to provide for his or her children financially (the “Beneficiary” or “Beneficiaries”) and decides how the trust will be managed. The Grantor will appoint someone to administer the trust (the “Trustee”), and to ensure that the Grantor’s wishes are complied with. The trustee can be a trusted friend or a professional institution. Do you need to be rich to set up a Trust Fund for your children in Singapore? Many middle-class Singaporeans are starting to see the value in setting up a trust fund for their children. Young Singaporeans may be more prone to making frivolous or unsound financial decisions that they would not make if they were older. Even if you do not have substantial assets, creating a trust can help ensure that your children do not squander off whatever you leave behind for them. How to set up a Trust Fund for your children? There are a number of ways to create a trust fund for your children. Common ways include doing so through the operation of a will (known as a testamentary trust) or doing so through the operation of a deed. If you'd like to hire an affordable, vetted Singapore lawyer to create a Trust Fund or to assist in general estate planning matters, get in touch with us here.